Trying to Get Accepted to Medical School? Make sure you have the tools and information you need to apply successfully! Choose the schools that are right for you. Write winning AMCAS and secondary essays. Create a compelling CV that compliments your application. Medical school admissions can be confusing. 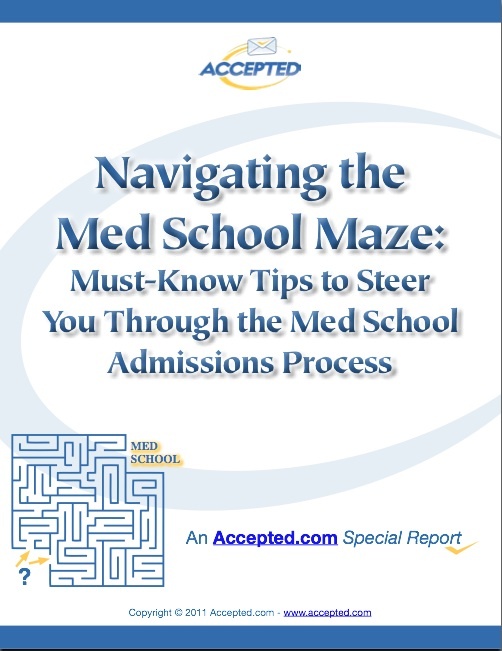 Use these succint tips to navigate you through the medical school admissions maze to acceptance! Accepted.com has been helping applicants like you gain acceptance to top medical schools since 1994. Benefit from our 60+ years of collective admissions experience by downloading this special report.